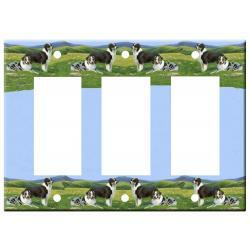 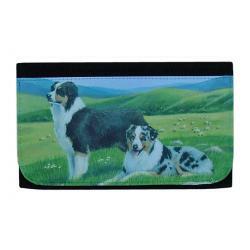 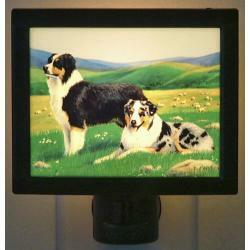 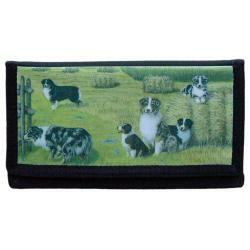 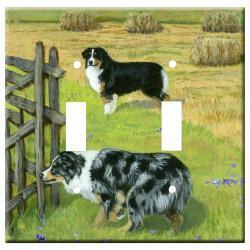 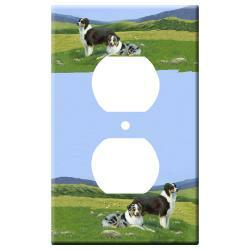 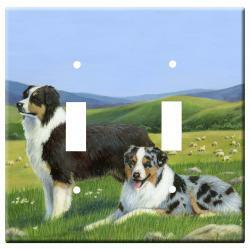 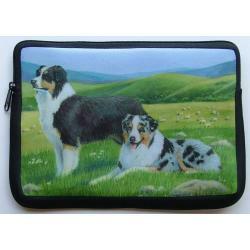 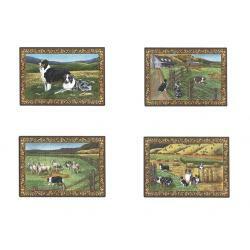 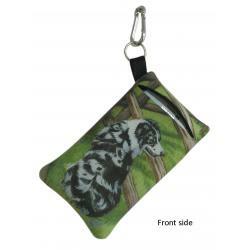 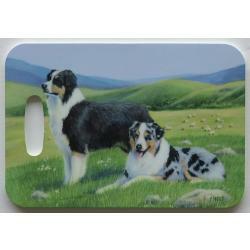 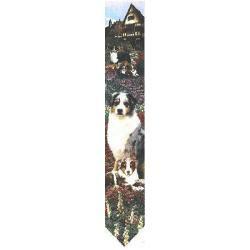 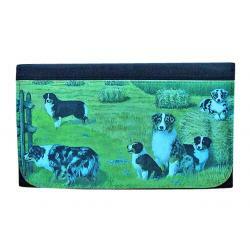 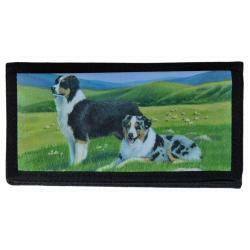 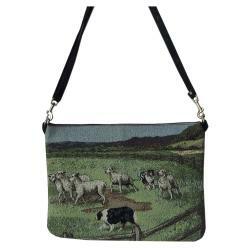 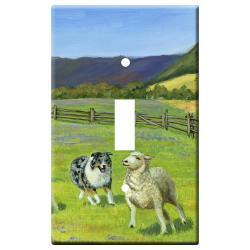 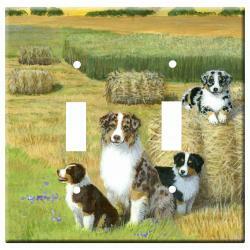 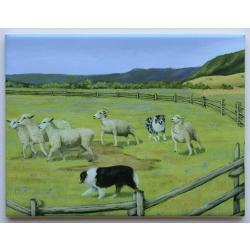 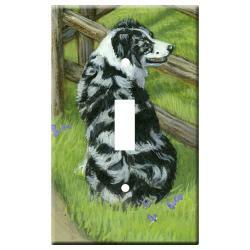 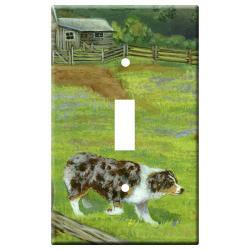 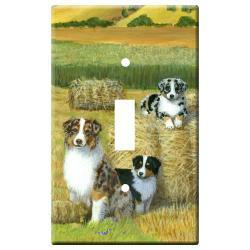 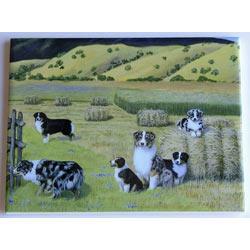 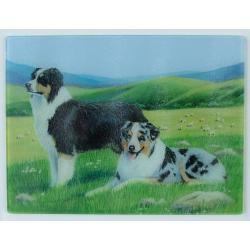 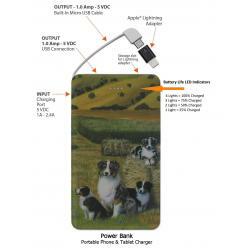 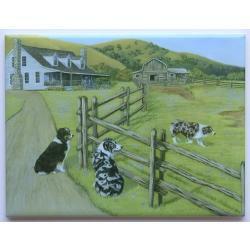 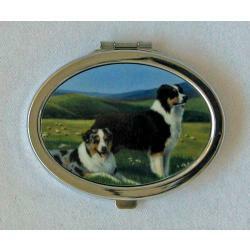 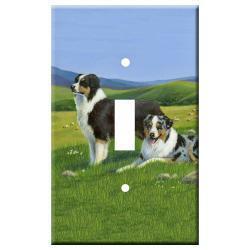 Our Australian Shepherd Gifts are created from exclusive Australian Shepherd art by Gone Doggin, our unique dog gifts are high quality breed specific dog lover gifts perfect for the aussie dog fancier. 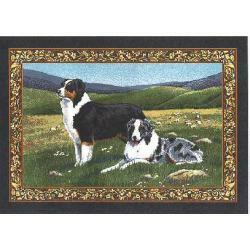 Despite its misleading name, the breed as we know it today probably developed in the Pyrenees Mountains somewhere between Spain and France. 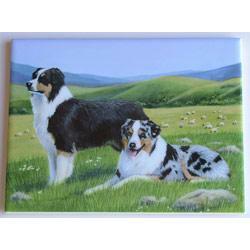 It was called the Australian Shepherd because of its association with Basque shepherds who came to America from Australia in the 1800s. 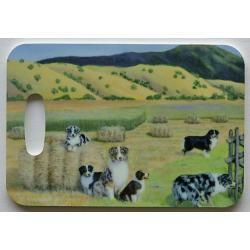 The Australian Shepherd was initially called by many names, including Spanish Shepherd, Pastor Dog, Bob-Tail, Blue Heeler, New Mexican Shepherd, and California Shepherd. 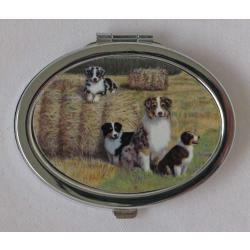 The Australian Shepherd lives for his job, which still involves herding livestock and working as an all-purpose farm and ranch dog. 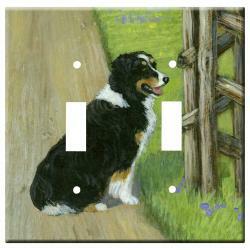 He needs a lot of activity and a sense of purpose to be truly content. 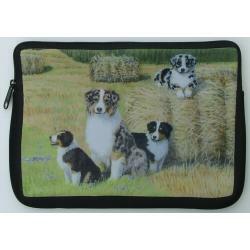 Today, due to the breed's intelligence and versatility, Aussie's also excel in AKC events such as agility, obedience and herding. 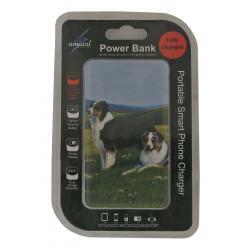 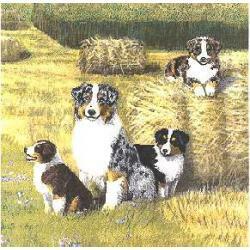 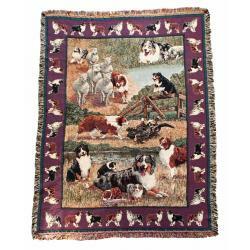 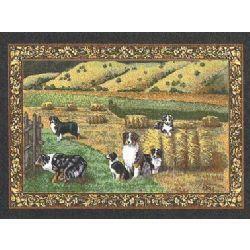 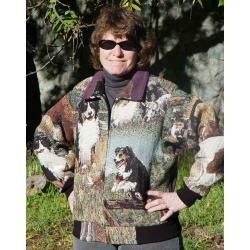 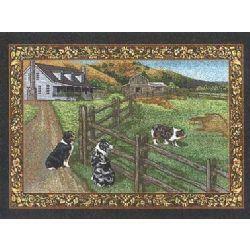 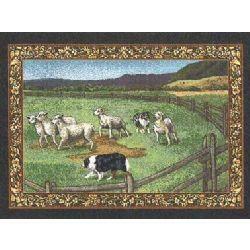 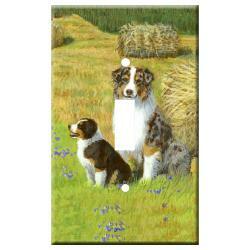 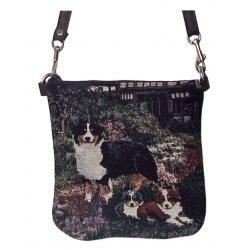 Belonging to the herding group the Aussies were recognized by the American Kennel Club in 1991. 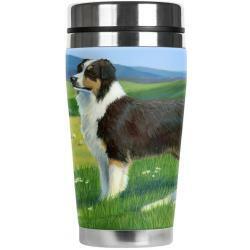 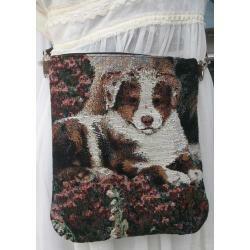 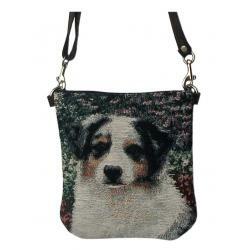 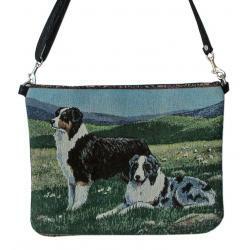 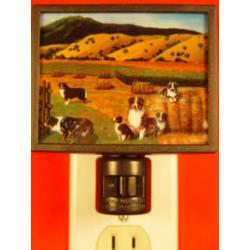 Unique Australian Shepherd gifts for dog lovers, by gonedoggin!